Parents of the bride and groom lovingly embrace the young couple in a moment of excitement and support for the couple. This was a "perfect picture" moment with this couple. Their ceremony was flawless just like them and they just couldn't hold their excitement in for being Newly Weds. The parents of the bride were so excited as well and just were grinning the whole time from ear to ear. 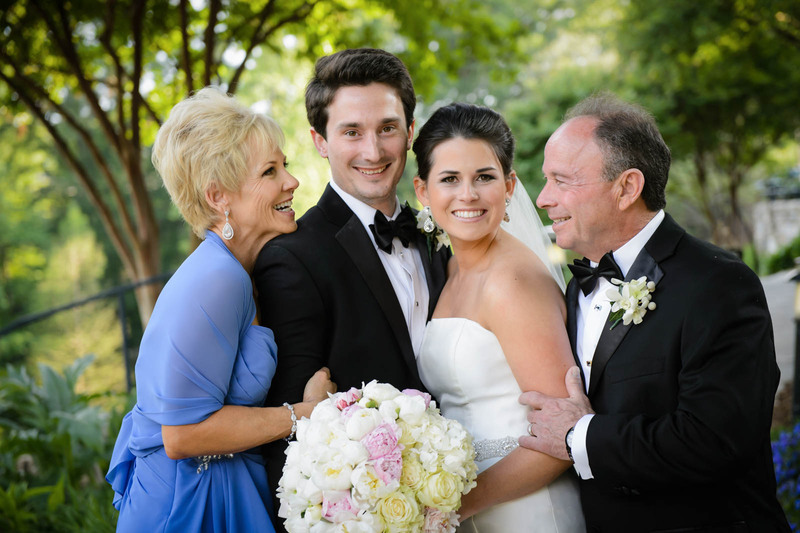 When it was time to take the picture of the bride and groom with the brides parents, it was evident that they couldn't be prouder and so in the moment. While the groom and bride pose for another picture, her parents just look in awe at each other and them, a serial moment.